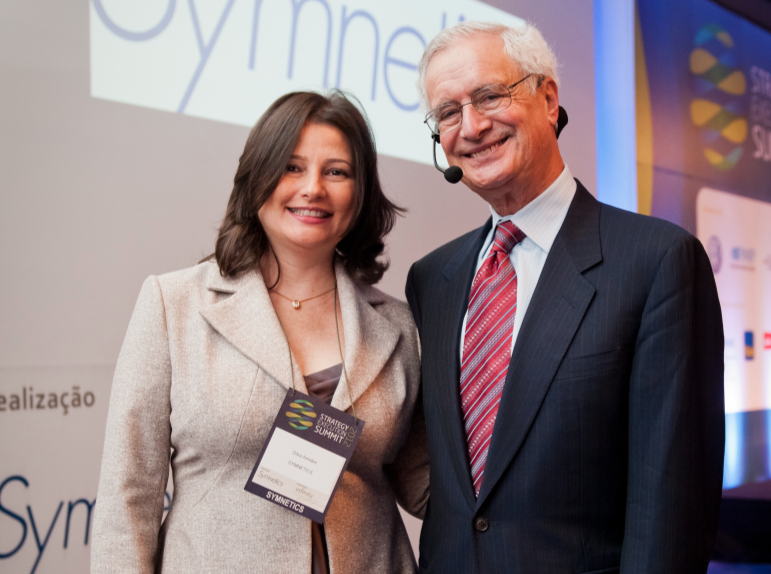 My wife Maria is the Director of Education at Symnetics, one of Brazil’s leading independent business strategy consultancies, and she is also responsible for their annual Strategy Execution Summit. In 2011 she brought Satish Kumar from Schumacher College to give a scintillating keynote speech and last year there were many more excellent speakers including Luís Norberto Pascoal, one of this country’s leaders in promoting educational for all, and Sergio Chaia, then President of Nextel who also practices Buddhism. Nowadays organisations are trying to cope with many more variables, more complex market dynamics, with ever more demanding requirements from a wider range of stakeholders. Management and leadership now have to evolve from a reliance on the use of tools and the introduction of new projects. For me the necessary evolution is the change in mental models, the way we look at companies, our perspectives and the fundamental way in which we understand organisations. Balanced Scorecard is a methodology which enables a company to look at itself in a more systemic way i.e. a more balanced way, including both the long and short term. Balanced Scorecard is much more than just a tool for organising indicators, it is a way of managing and enables an organisation to look at itself in a more integrated way. After ten years it is interesting to talk to Robert and David about the evolution of the practice and execution of strategy. I believe that businesses nowadays are more and more able to better understand and benefit from the competitive advantages that come from working with Balanced Scorecard. One way in which Balanced Scorecard has evolved is the spread of its use from the private to the public sector and one great example is from the city of Porto Alegre. Izabel Christina Cotta Matte from Porto Alegre City Hall will be discussing the impact on planning and management in relation to preparing the city for the 2014 World Cup. This summit is the most important in Latin America which focusses on business strategy, and the line up of speakers really showcases the cutting-edge business practices and thinking which are do not always achieve exposure in the foreign press and business journals. It is therefore an extremely important networking event for those overseas companies wishing to understand Brazil and its complex social, economic and cultural dynamics. Themes this year cover Leadership, Change Management, Enterprise Risk, Business Design and Strategic Intelligence, plus many presentations covering business strategy and sustainability. Roberta Simonetti will be discussing the Index of Sustainability which has already been implemented in BM&FBOVESPA (the Brazilian stock exchange) for eight years, and Hugo Penteado, Chief Economist and Head of Responsible Investments at Santander will be discussing Ecological Economics. 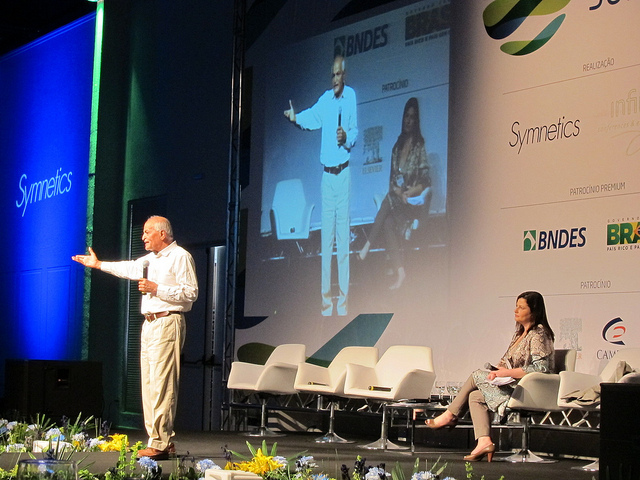 Ten years of Symnetics’ Annual Strategy Execution Summits have produced great examples of Brazilian companies and governmental agencies describing, communicating and implementing their strategies with strategy maps and Balanced Scorecards. Dave Norton and I have participated in these annual events over the past decade so that we could share our latest thinking on how enterprises from all sectors can achieve an “execution premium.” In turn, we have been thrilled to learn of the innovative ways in which Brazilian enterprises are applying our approach, and pleased to recognize the most outstanding achievements though induction into the Balanced Scorecard Hall of Fame. Congratulations! I have just come back from the global New Cities Summit which this year was held in São Paulo. Some great dialogues were started at this event and I look forward to these important dialogues and discussions continuing this August at the Strategy Execution Summit.